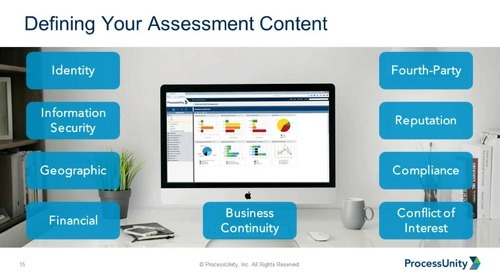 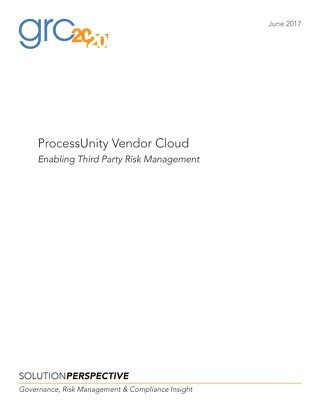 ProcessUnity Vendor Cloud is an online service that automates your entire third-party risk lifecycle – from initial due diligence and onboarding to ongoing self-assessments, performance management, regulatory reporting and more. 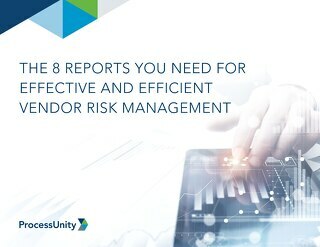 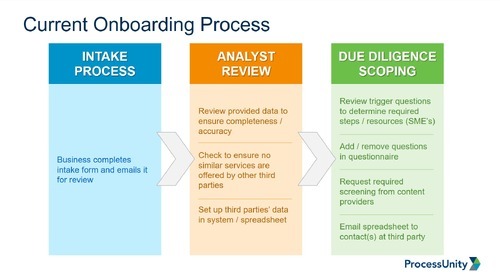 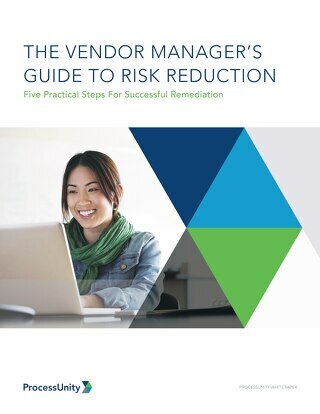 Combining powerful vendor management tools with automated assessments and dynamic reporting, Vendor Cloud eliminates unwieldy spreadsheets and simple surveys, streamlining the process for you, your vendors and your regulators. 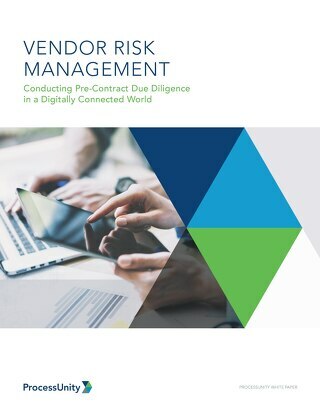 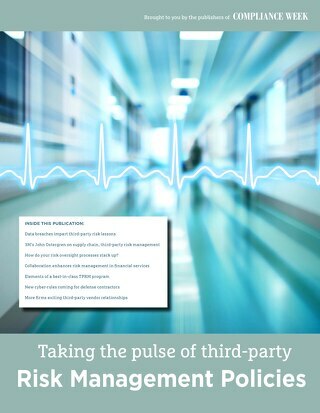 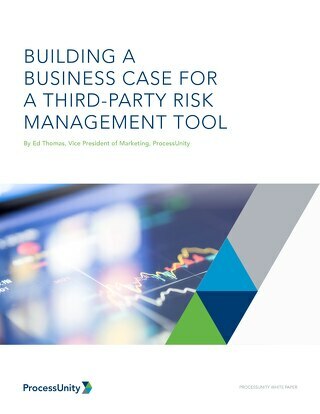 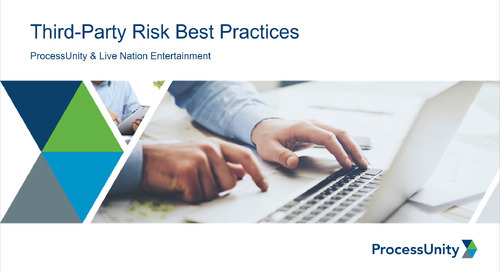 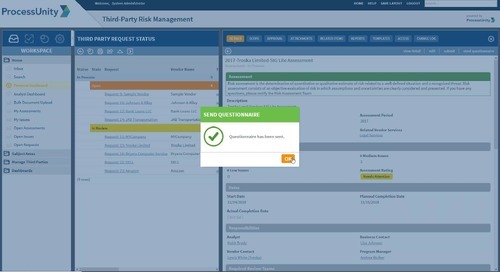 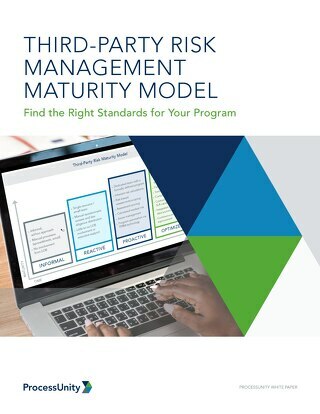 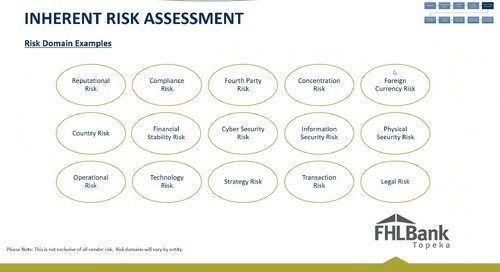 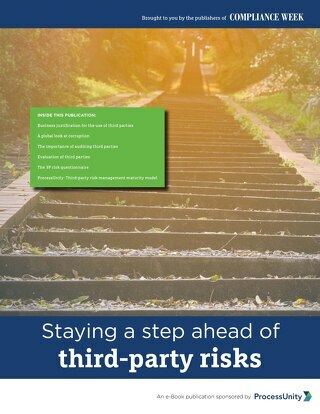 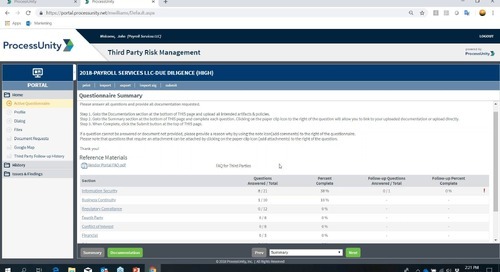 With third-party risk automation, you can easily and efficiently minimize the risk to your valuable intellectual property and sensitive customer data, while also meeting the increasingly stringent regulatory requirements of your industry.